In the indie realm sometimes being cute and quirky can work out for you, but it typically really helps to have solid play mechanics along for the ride. 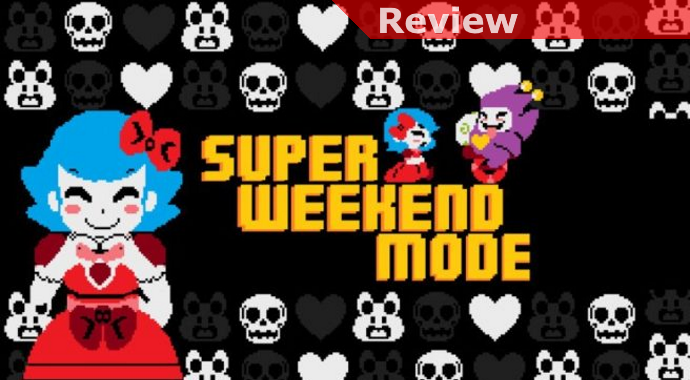 Super Weekend Mode has the look and energy down, with the various palette-swapped female heroes, bunnies and hearts, even the skulls are kind of cute in their own right. The question becomes whether or not its somewhat unusual gameplay will be something you’ll want to continue to come back to, and in general I’d say the prospects aren’t very good. In terms of gameplay the controls are easy to understand but the execution can be oddly tricky. You’ll only use the left and right shoulder buttons (well, if you choose to go with auto-fire, which I can’t think of any reason you wouldn’t) to move your left and right paddles back and forth on their respective sides of the screen. There’s a boss above you centrally, which you can shoot, but the main emphasis since they’re slow to kill is keeping yourself alive. To do this you’ll want to collect hearts that will fall on both sides, and depending on their color they’ll fall in various patterns. In addition dust bunnies can fall, the goal with these is to bump into them (more about that below), and then there are skulls you’ll want to avoid entirely. While the difficulty will continue to ramp up (and quickly) that’s really all there is to know about the game. As a huge fan of many classic arcade games I understand how relatively simple gameplay with the right hook can absolutely keep you playing, even if it is always the same game. 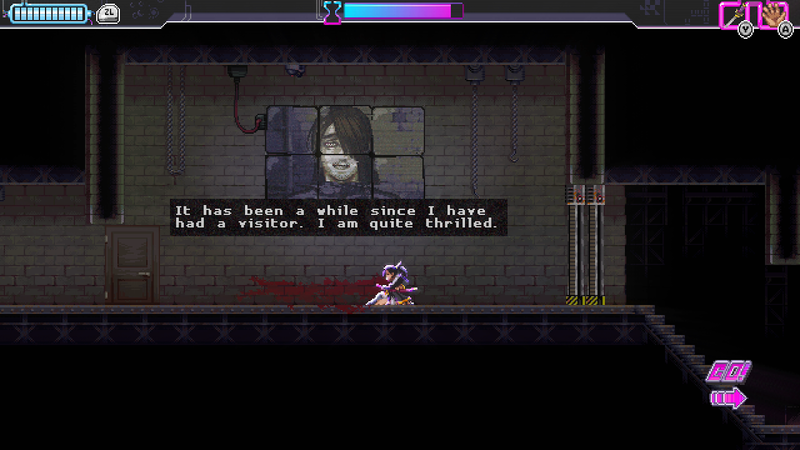 The thing is, try as I might I just didn’t find the game to be fun. 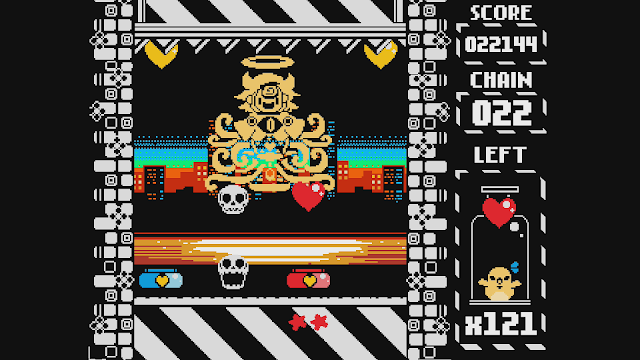 Overall it plays like a left/right brain exercise mixed with frustration and that’s just not appealing. In particular trying to “bump” the dust bunnies is poorly explained and a struggle to execute correctly. In most ways I don’t understand why you’re shooting either since only the “boss” in the center can get hit (not the bunnies or skulls, which are apparently invulnerable but not bosses) and overall your survival is about grabbing hearts without dropping them, avoiding skulls, and bumping bunnies. Both conceptually and as someone trying to play and enjoy the game I don’t “get” Super Weekend Mode. It honestly feels like an idea that was pulled out of the oven before it was done baking, and no matter what genre you’d assign to it there are simply far better titles in every one that tower over it in terms of cohesiveness and fun. If you’re charmed by the graphics and style perhaps you could stick with it for a little while but overall, sadly, the game is a muddled mess. Why even having the shooting element? 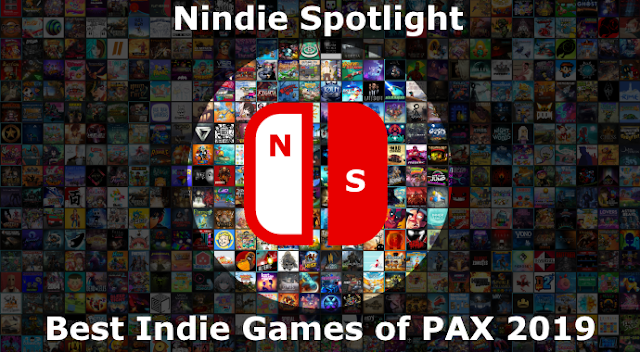 With games that get featured in Nindie Directs it’s always interesting to see how the initial excitement that can be generated from only seeing them for a few fleeting moments translates into success or a letdown ultimately. For as many that deliver the goods when they hit the eShop there are also quite a number that fail to deliver on their perceived promise. 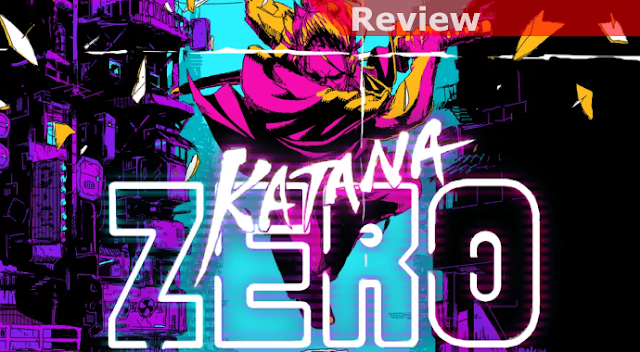 Katana ZERO was an absolute standout when it was shown, but given the nature of its gameplay questions began to form in my mind over whether its stylish mix of planning and execution would hold up over a few hours of play. Throw in the intriguing moments after the battle with the character talking to their therapist and it seemed like the game would either deliver something unique and exciting, or at least go down in a glorious blaze of ambition. While an opportunity to spend some time with it hands-on at PAX East were exciting worry about repetition was still in my mind. I’m happy to say that having seen the final credits roll it has made quite an impression on me and if you can hang with its challenging play and craziness there’s a whole lot to love about it. The most crucial aspect of ZERO is its core gameplay which is often difficult, but is also smart and often creative. You’ll need to get a feel for the rhythm of things, whether slowing down time at just the right moment to save your skin while conserving your gauge for when things get tough, or how to grab an object while you dodge roll and then immediately hit an enemy with it before they get a chance to fire on you. 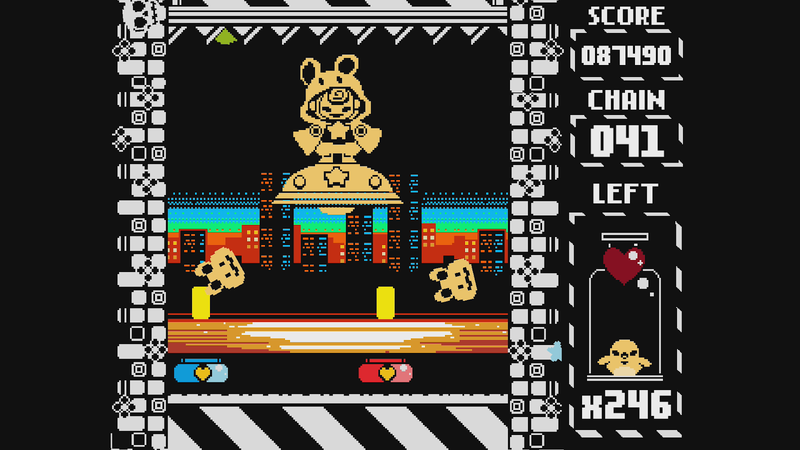 The beauty of the action is that it keeps evolving and throwing different challenges at you, whether that’s a matter of new enemies or level layouts and hazards that reward experimentation. With the possible exception of boss fights I don’t think any stage once you get past the first few has a set way to best complete it. This makes replaying levels and not just surviving but also showing some personal flair kick in hard. You’ll need to work for your successes but that makes watching them replayed in slow motion at times all the more rewarding as you marvel over the insane sequence of individual actions you managed to chain together. The other key component to what makes ZERO compelling is its very unusual, unorthodox, and at times hard to follow story. Without ruining anything your character is haunted by nightmares, visions, and ghosts of their past both imagined and in the flesh. What can be very unclear at times is which are which. Some of the story is conveyed through sequences both from the past and present, and others afford you an opportunity to make choices that will affect how things play out. Whether you’ll get an easier or tougher path through a level or are taken down slightly different narrative roads will vary, but while you can skip through dialogue I would suggest not doing so as you’d be missing out on a major component of what makes the whole experience unique. Even through to the game’s final moments who or what is real and what it all means are very fair questions, and this seems to be the intention as the door is left wide open for a sequel. I just hope that it manages to help bring clarity to a story that’s as interesting as it can be brutal in its violence. In terms of concerns I don’t have many, but for specific types of gamers there could be issues. If you’re uncomfortable with excessive violence (albeit in pixel art form) or drug addiction it may be too heavy for you. 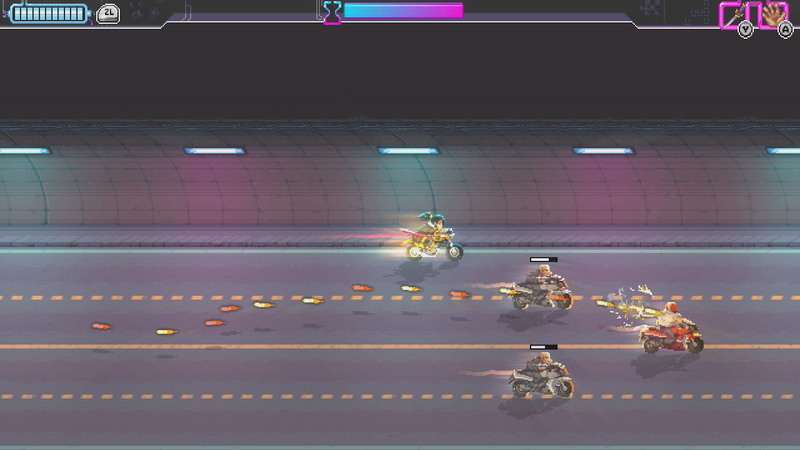 If you have issues with flashing lights and intense colors the visual chaos in the game at times may also prove problematic. While I’d say everything in the game is certainly beatable if you’re prone to fits of frustration when the challenge gets cranked up just be aware there are spots where it will test your patience. Fortunately you’ll never lose much progress and since stages tend to have a fair degree of complexity your real problem may just be you’ve chosen a bad course of action and should try something else. It’s an excellent game through and through, but there are also elements that won’t make it for everyone. Katana ZERO is absolutely one of the best games I’ve played this year and I’d be shocked it if didn’t end up in my Top 10 (and those of many others as well) for the year. While it is perhaps a bit too heavy to be a wide mainstream title, its constant focus on changing up the formula and never letting you get very comfortable is quite an accomplishment. Throw in a narrative begging to be revisited in search of greater understanding of all of the story beats and it also has a surprising degree of replayability on that front as well. As a whole it is an experience without a peer on the system and serves up a handful of hours of intense and creative insanity well worth experiencing. 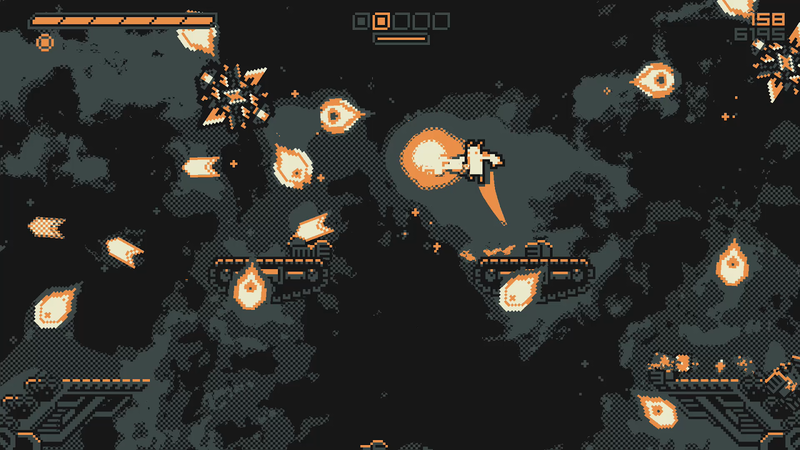 OK, so there are a whole lot of shooters on the eShop and I’ve come to the table championing a ton of them, though usually I find myself being partial to the twin-stick variety. 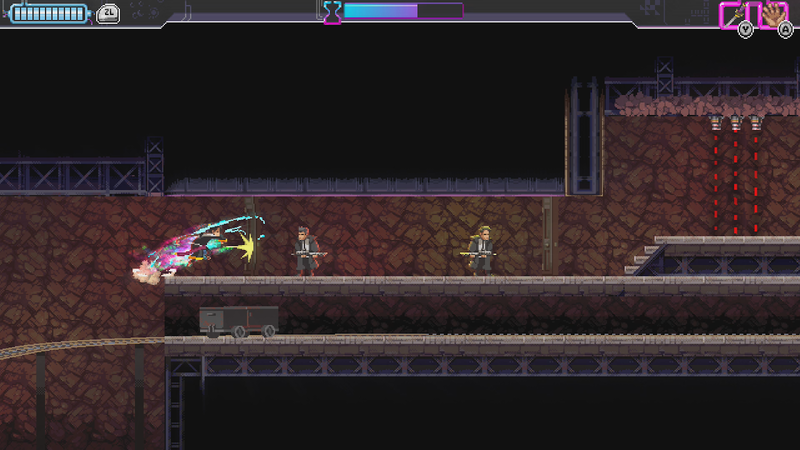 We’ve got arcade, roguelikes, vertical, side-scrolling, bullet hell… is there still room for something more? While I initially wasn’t so sure about Hell is Other Demons, a pixel-art arcade platforming shooter, once the upgrades started to kick in I quickly became a fan. In terms of core controls Hell keeps things simple on the surface, you have a double jump, a dash, your primary fire, and then an ultra weapon you can power up and use to do some major damage if you’re feeling overwhelmed. 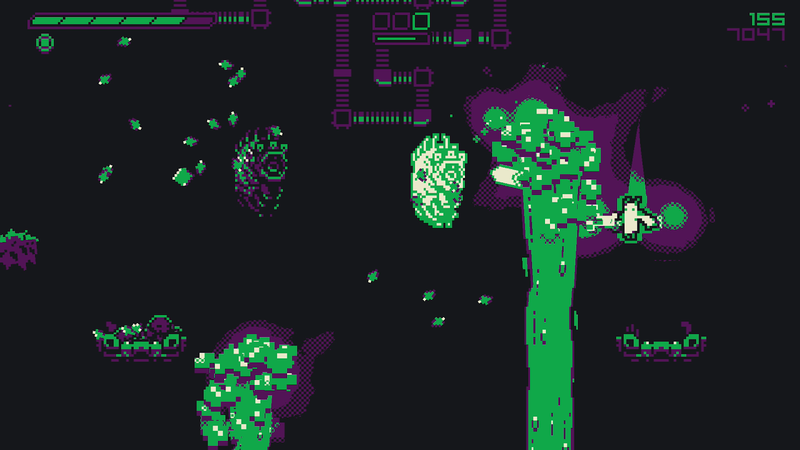 What you’ll learn quickly though is that you’re far more agile and capable than those basics would imply, as bouncing off enemy heads will reset your jump and holding down the jump button will allow you to glide down slowly. Throw in some terrific power-ups and you’ll find you can become quite capable and even formidable. There are two ways to play the game and I’m actually a big fan of both. Where most indie shooters tend to have their primary mode and then another one or two that are there but don’t always differentiate each other well, in this case they’re very different experiences. In Campaign mode you’ll be working on slowly building up and pretty well crafting your character, completing stages, collecting jewels, and then purchasing and managing the loads of upgrades that become available to you the further into the map you get. By contrast, Arcade mode is pretty well a pure roguelike where new weapons will show up periodically for you to switch to (in order to keep you from sticking with one of the more powerful ones changing weapons will also replenish some of your health) and then as you level up you’ll get to choose between some random upgrades. This gets even more diverse as you unlock new classes that have different plusses and minuses to consider and help keep the mode fresh. What really makes the game stand out are the weapons and how powerful you’ll become when you then pair them with smart and complimentary perks that either enhance their use or help to compensate for their weaknesses. In Arcade mode you don’t have much control over this so your runs will tend to vary in success, sometimes wildly if you happen to be blessed or cursed with great options. In Campaign mode you’ll always be managing upgrade slots that limit what you’re able to combine so you’ll need to find combinations that work for you or simply grind a little more to give you more slots to work with. This gives both modes their own distinct feel and charm, and really helps to elevate the package as a whole. 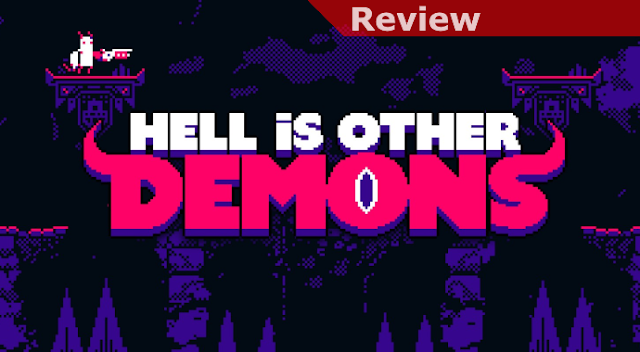 All things considered, Hell is Other Demons is a very good platforming shooter that plays smart, is challenging, and ultimately will support a wide variety of styles through its varied weapons and upgrades. While in docked mode the characters may look a bit chunky that means in handheld mode everything is very easy to see and helps make play on the go all the more viable. Each increasingly-powerful weapon you get to work with tends to encourage different styles of play and that keeps things consistently interesting and exciting. This is yet another shooter deserving of your time and attention and it deserves a place among the top tier of titles in the genre on Switch.